Join me on a tour of this rambunctious jalapeno of a surf town! If you’re looking for a new destination that has a bit of everything, Puerto Escondido should be at the top of your travel bucket list. 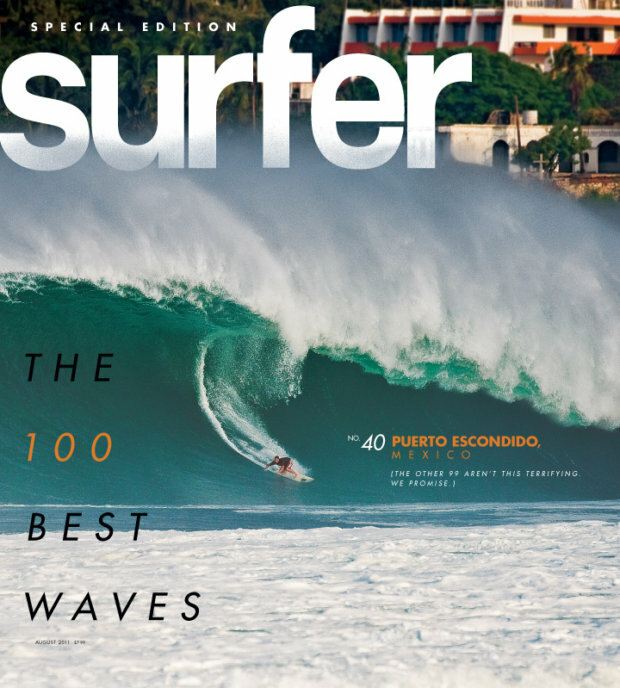 Puerto Escondido is known for the giant wave “The Mexican Pipeline” also called “the destroyer of boards” and is one of top ten surf meccas in the world. There are several surf schools to choose from, with the locals choice being Oasis Surf School. 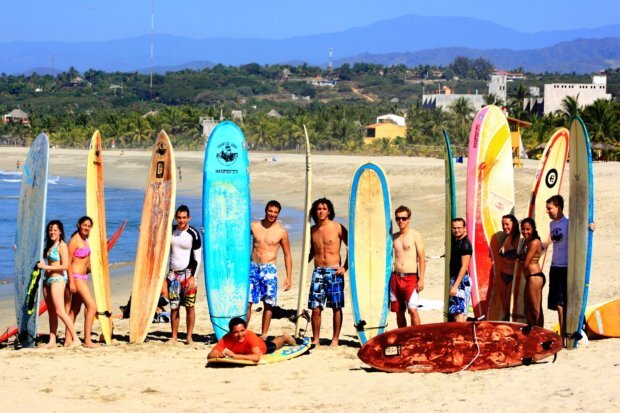 They were the first surf school in Puerto Escondido, they teach surfing and spanish to foreigners, and are run by ex-pro surfers who really know what they’re doing. Yup, that break happened here. Unlike other destinations (like Hawaii, for example, which only has good surfing conditions for six months of the year), Puerto Escondido has great surfing conditions year-round. That means that you don’t have to tailor your time away from work to the surfing conditions. You can simply expect that when you arrive, the surf will be sick, the water will be warm, and the town will be active. There’s more to do here than just ride your surf board. Many places claim to be the world’s best surfing beach but Puerto Escondido’s Palaya Zicatela would make it to the top ten. Even if you don’t surf,when you see the beach you will want to try it! That’s good you don’t have to limit yourself when you’re in PE! make the most of our stay! This is in my top 10 list to go to this year that’s why I am really doing a lot of research about the place and glad you wrote something about this town. Awesome! If you’re planning to go to a place you’ve never been before, it’s best to do some research first,about reviews, tourist spots to visit and a place to stay. so when you go there you won’t spend too much time looking. Relaxing days on the beach, long nights partying, shopping in the night makter and big waves! This town really has something for everyone. Aww I missed this place, the photos bring back memories! Hop to come back soon. Escondido has all from kayaking, boating, bird-watching, and swimming in phosphorescent waters. You might wanna try as well. I loved the beach, it’s sun, sunsets and waves. Perfect for surfing. I’ve heard about this town from a friend and seeing this photos and reviews makes me want o book a ticket now! Best place to go to for a quick weekend getaway and surf all day! I didn’t know this is also a good destination for surfing. Cool! P.E. is more than just having the prettiest beaches, you should not forget to go to the night market as well! It’s the best summer destination. Thanks Urbanette for featuring my favorite town ?